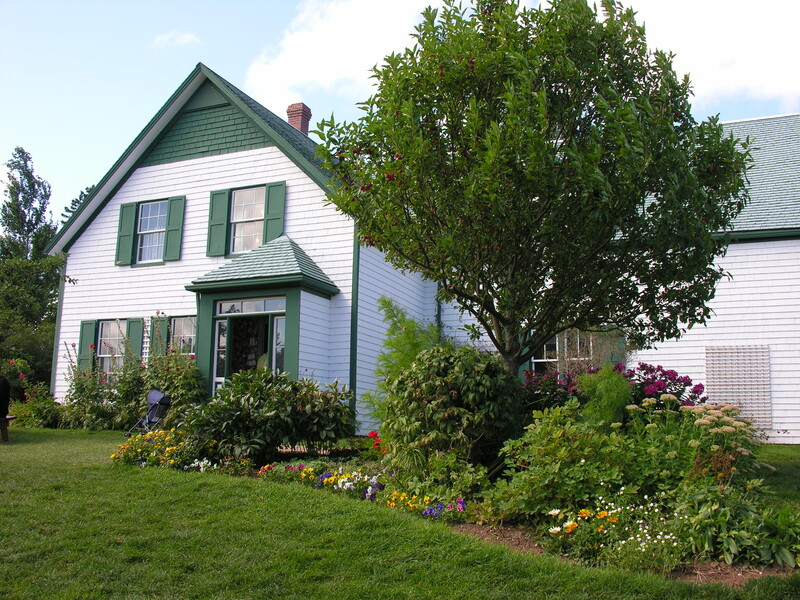 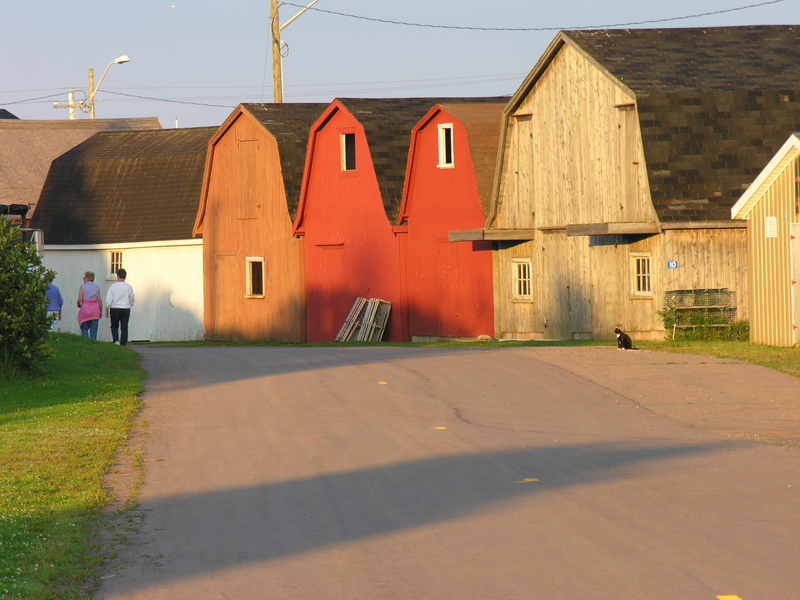 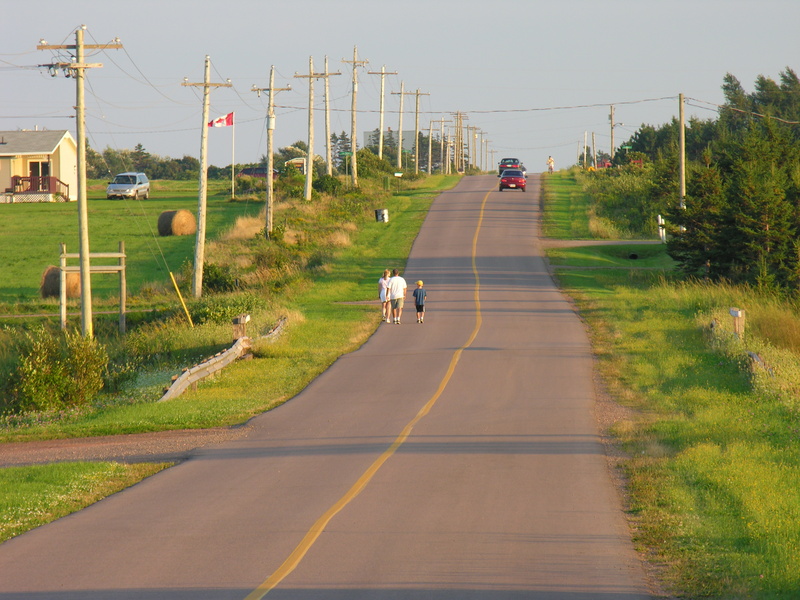 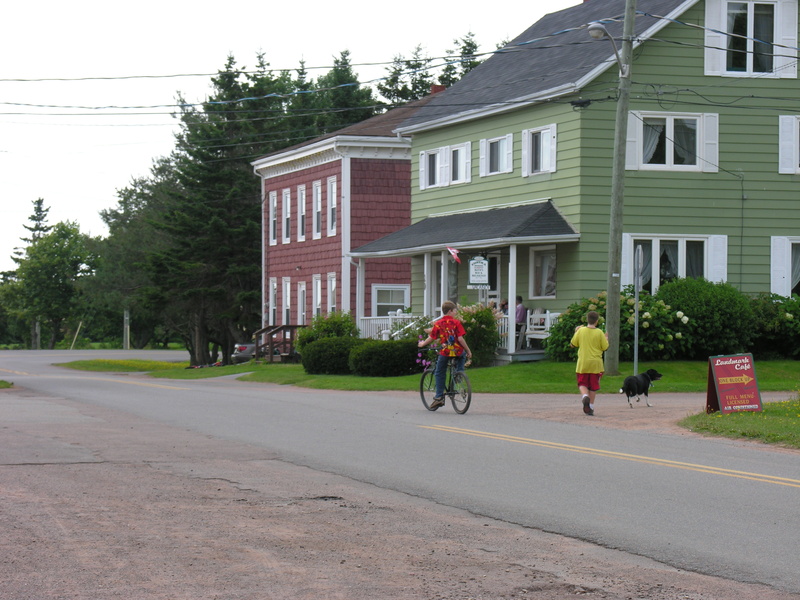 In 2006, we visited Prince Edward Island. 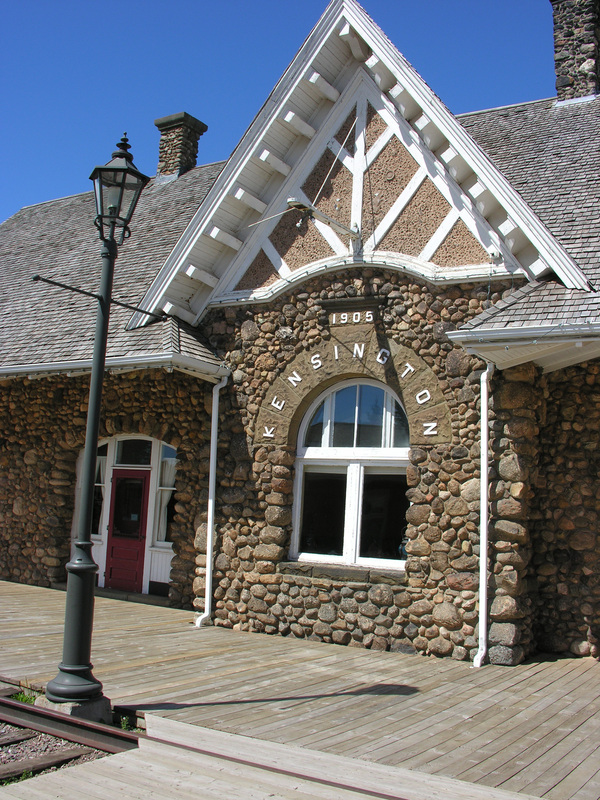 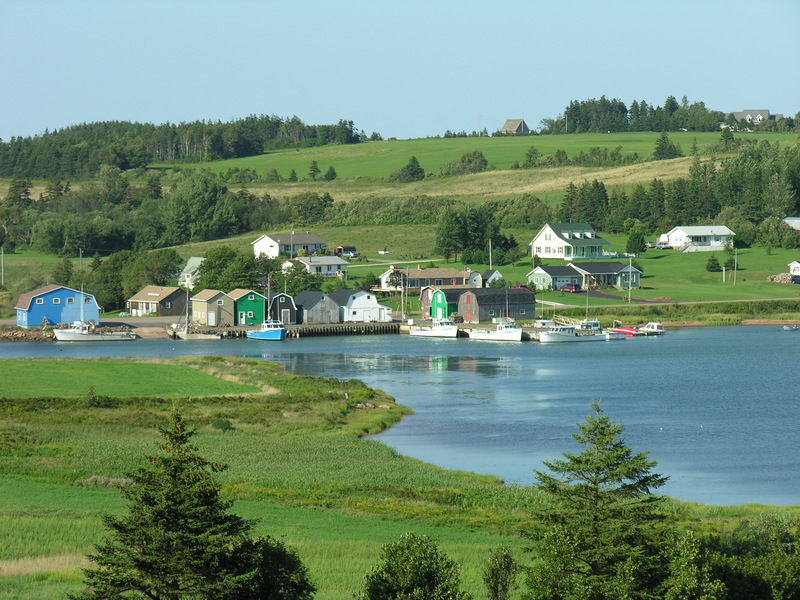 The smallest of Canada’s ten provinces, but arguably the most charming. 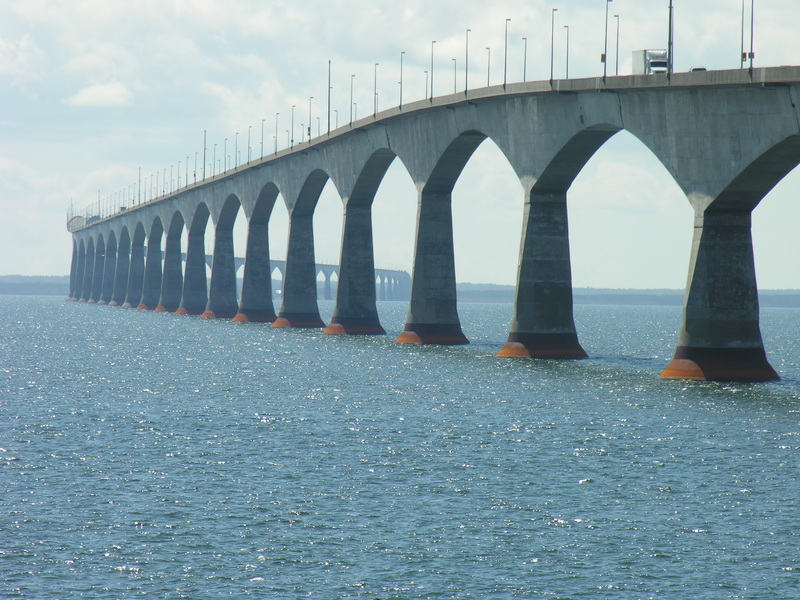 To get there, you cross the longest bridge in Canada, 13 kilometers across the Northumberland straight. 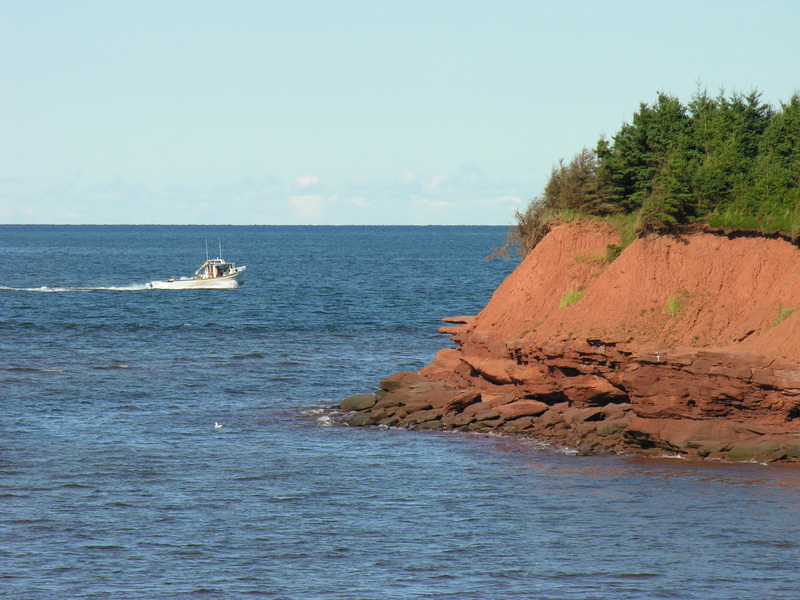 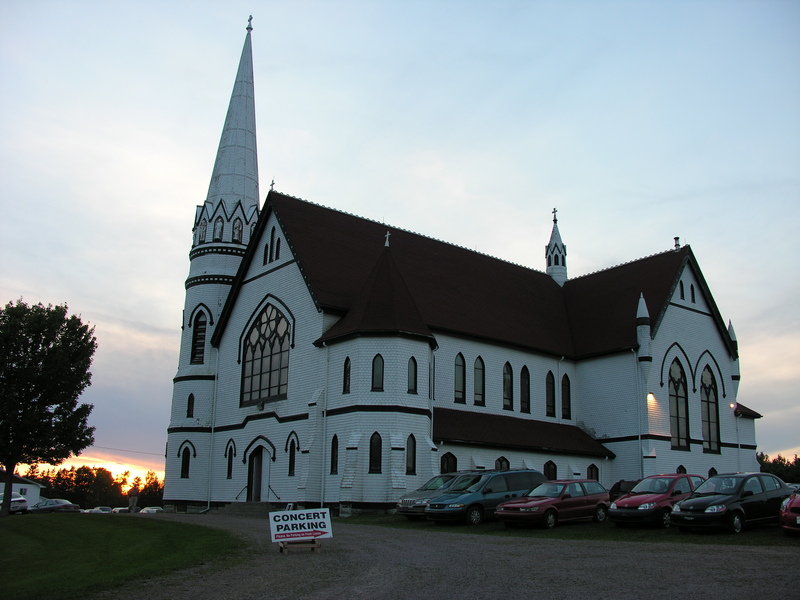 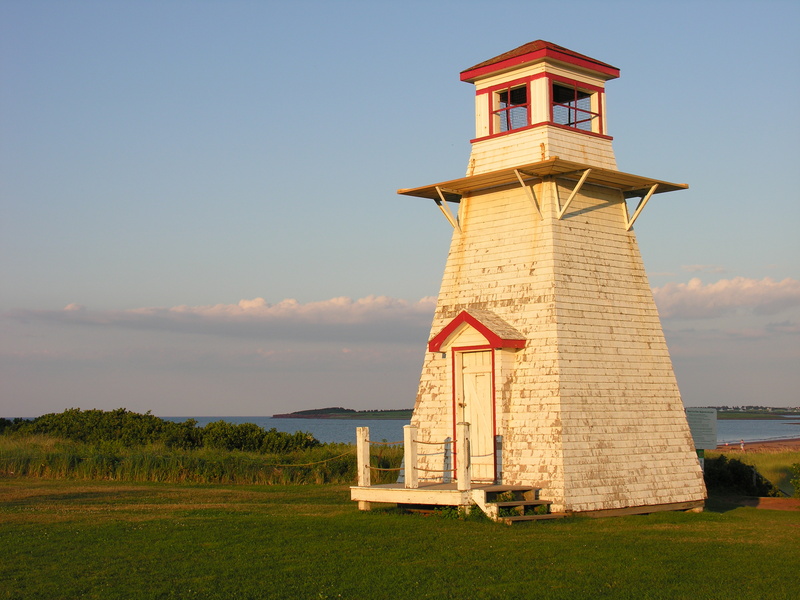 On this page are photographs from Borden, Malpeque, Charlottetown and Kensington as well as a few other places on the island. 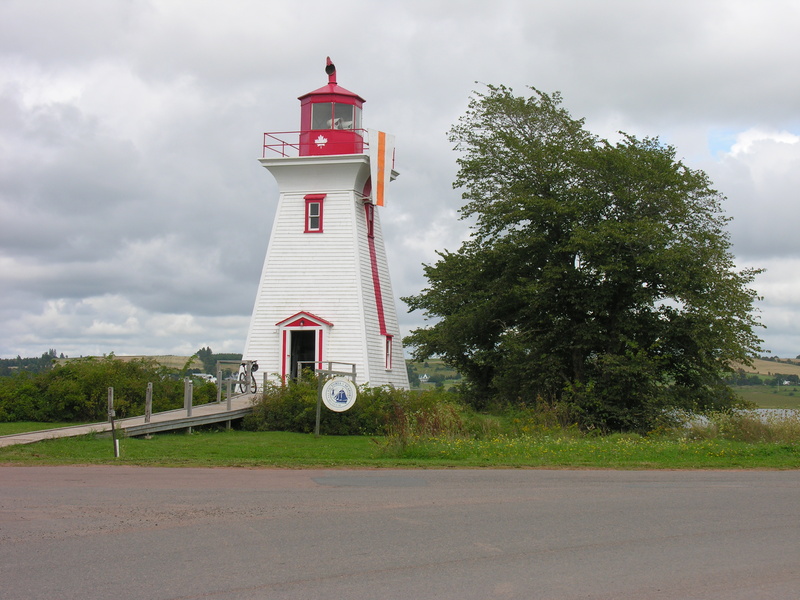 Confederation bridge, Victoria harbour light house and street scene. 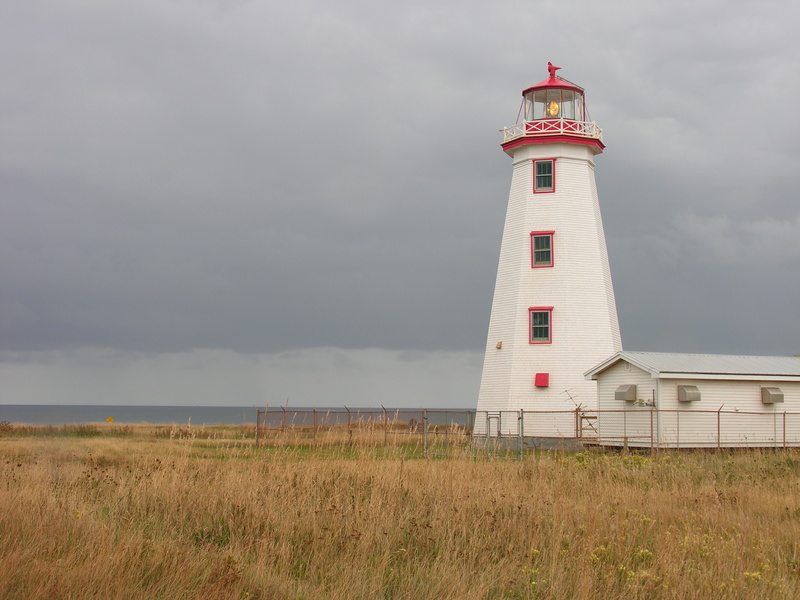 North Cape lighthouse, the church at Indian River, Lucy Maud Montgomery homestead. 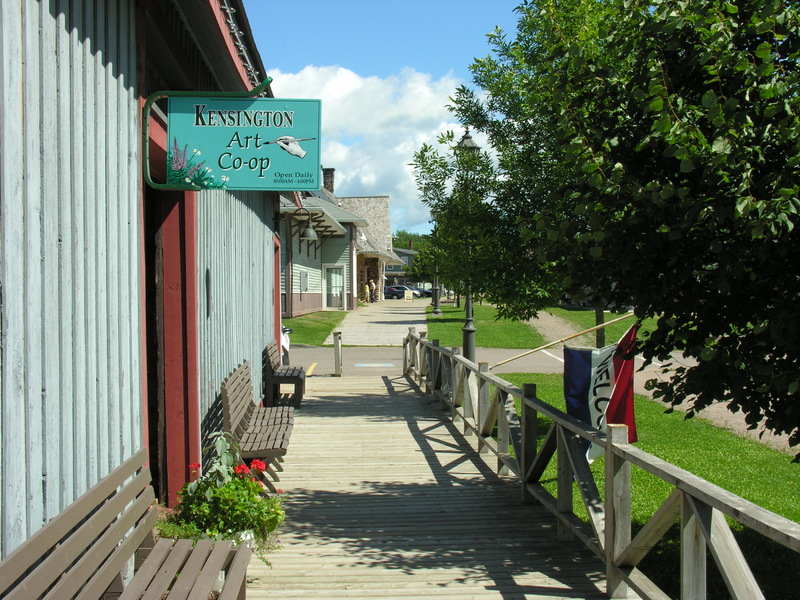 Fishing boat near Malpeque, the former Kensington railway station and shops at Kensington. 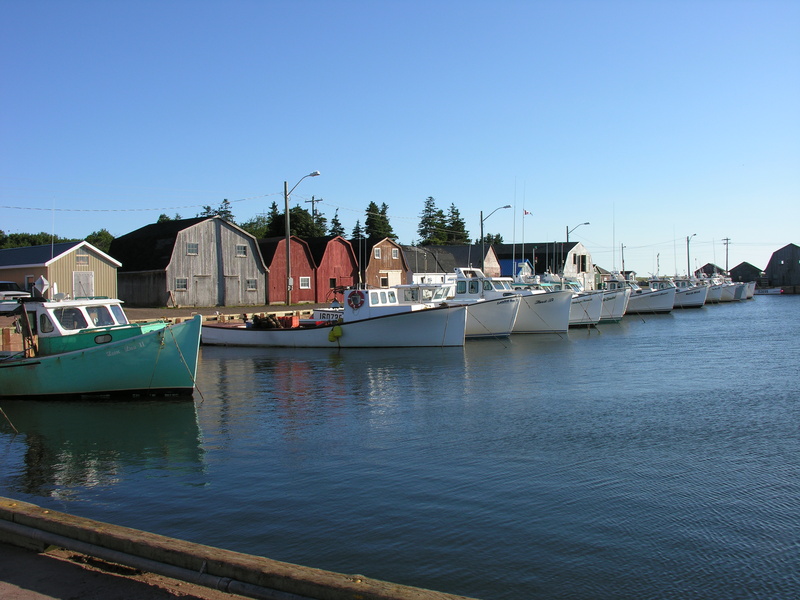 Malpeque harbour, fishing sheds at Malpeque and the road to Malpeque. 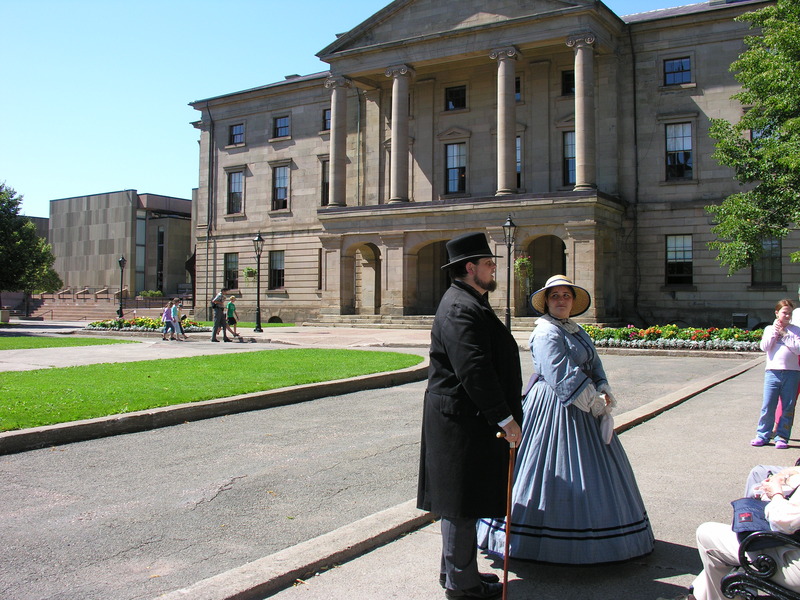 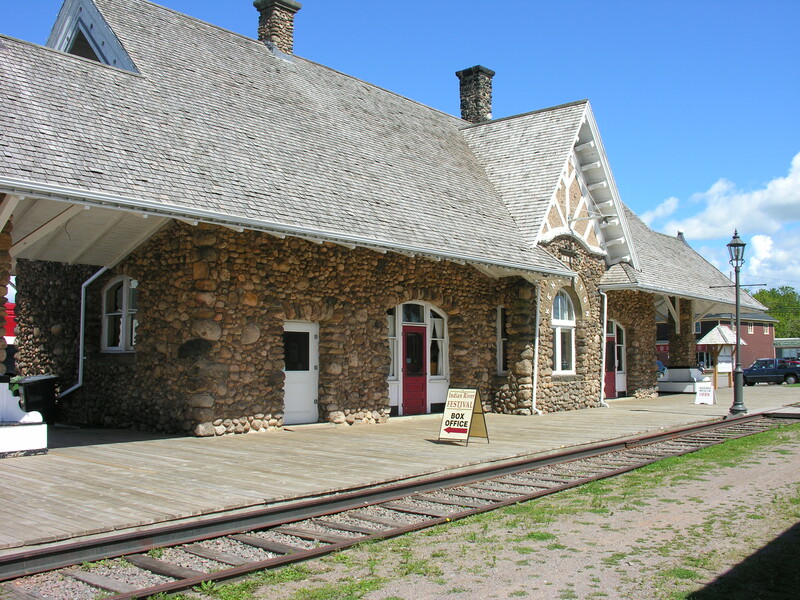 Borden lighthouse, New London, re-enactors at Province House in Charlottetown, and Kensington railway station.